Tuna fishing moves every year a growing billionaire market, with most of the profit going to multinational companies. 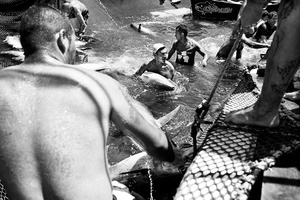 Tuna schools are fished in open waters, under no international laws or control. Planes are sent to patrol them with radars and once the fish is localized, those that GreenPeace named as "Monster Boats" (because of their intensive, industrial fishing methods, such as FADs, trawl lines and grab-all nets) go to catch them. Not even one of the fishes has the chance to escape and survive. These ways have catastrophic environmental, social and economical consequences for local communities. 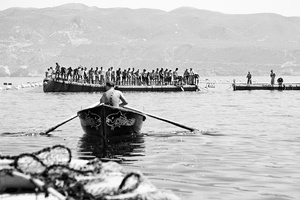 The "Mattanza" is an old fishing way, still practiced in Carloforte, in the South of Sardinia, and carried out between May and June, when tunas cross the area. It has almost disappeared with the taking over of the previously mentioned ways of fishing. 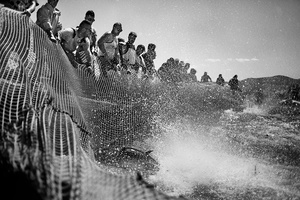 Although the mattanza has been attacked and criticized as a cruel way of fishing, it results to be a sustainable fishing method with a low environmental impact. 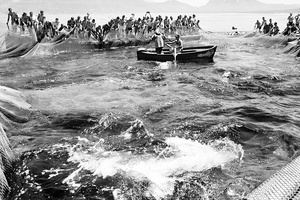 This is due to its limited fishing season (about a month, or less, in the whole year), and therefore limited fishing quantities; to the use of small boats, which contain only small stocks of fish; to the low consumption of fuel, since fishing takes place near the coast and only two of the boats of the fleet have engines, while the others are tied with a rope and dragged behind. 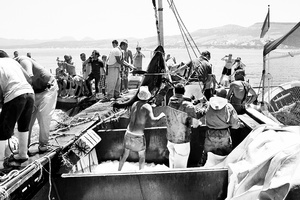 The nets are placed by the "tonnarotti" (tuna fishermen) around a month before fishing season and they' re divided into so called "chambers". 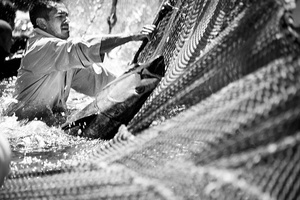 Divers check the nets daily, and when tunas have passed through these chambers, the "Rais" (the boss) commands to let them into the last one. This is called "death chamber" and it is here that the mattanza takes place.